March 2018 marks an entire calendar year since all that, meaning that any lingering base effects are now removed. 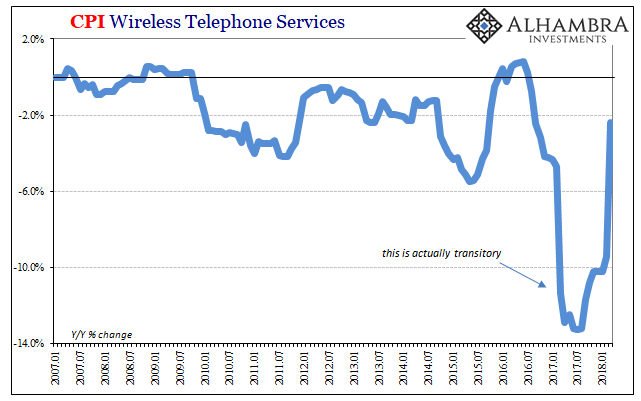 The CPI for wireless telephone services dropped 9.4% year-over-year in February but was only -2.4% last month. The core CPI rate which had increased 1.85% two months ago rose by 2.12% in March. About 25 bps, give or take, each way. It’s not quite how this was made out to be, or how it was supposed to go. The implication of using the word “transitory” is clear enough; that when it is expunged from the record the result will be conformity in every sense. 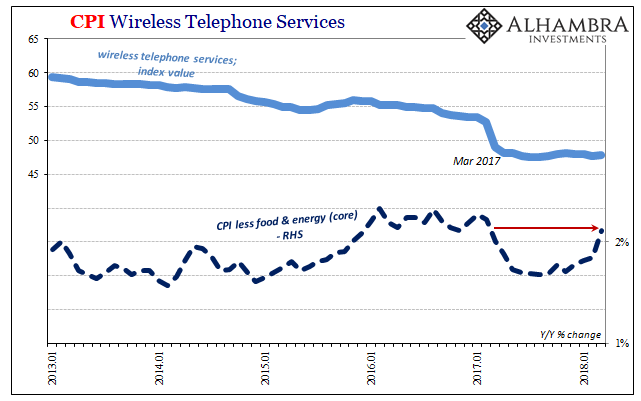 If this temporary problem is to blame for still another year of undershooting inflation, then passing beyond its reach should do what?